Heat and perspiration is the most common trigger of eczema and that’s exactly what gets my baby Marcie scratching. To keep the room cool, especially when it’s summer all year round in Singapore, you would have to on the air-conditioner. However, that makes the air dry and from experience, I realized that a humidifier did help my baby to sleep better. 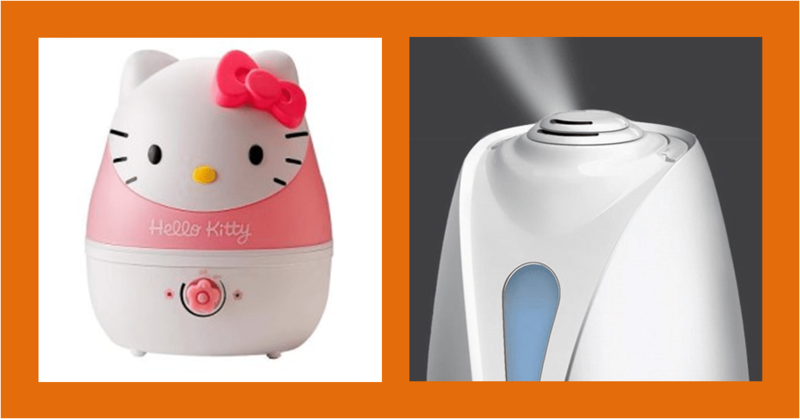 Here’s various pros and cons of a humidifier. Helps combat dry skin, caused by air-conditioning. Dry skin is prone to irritation and lead to scratching. Doctor Claudia Aguirre commented in 2012’s twitterverse 1st Eczema twitter party hosted on this blog that should the humidity falls below 40%, moisture will start to strip away from skin, for full twitter party transcript see here. And as I always emphasize, it is important to have your child tested to know what triggers the eczema. You can check out my Top 10 Eczema Tips and posts on Skin Prick Test and Itch Triggers. During a talk by Prof Hugo Van Bever at sneezywheezy’s play group on Aug 24th, he mentioned that cool air makes the dust in the room ‘lighter’ and to some extent, increase the likelihood that people with allergy to dust mite will sneeze etc. So, remember to keep the dust to a low level by having a thin mattress and light curtains.